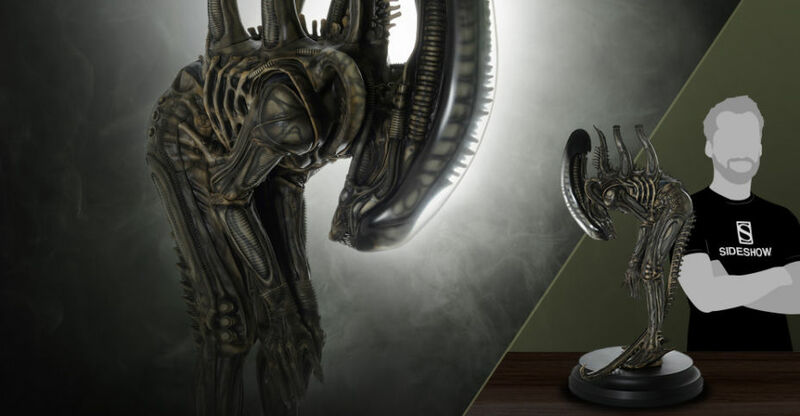 Sideshow Collectibles has opened up pre-orders for a new Alien – Big Chap Alien 1/3 Scale Statue, which is being produced by Mamegyorai. The polystone statue will stand over 28″ tall. It is currently set for release between March 2019 and May 2019. It’s priced at $2,099.99. You can pre-order it by Clicking Here. BIG CHAP – One of the most iconic creatures of all time! This project began with a special team of four hand-selected by Mamegyorai. The director of this team is Mr. Kiyonori Fujimoto who has sculpted, painted, and finalized this incredible life-like character in 1:3 scale. No compromises were made – attention to every fine detail has been brought to life! This is a must-have for any Alien fan’s collection. Fans of the iconic Vampirella comic series will have an all new collectible to keep an eye on. Check out the all new Vampirella 1/6 Scale Full-Length Statue. The upcoming statue is being produced by Mamegyorai, a popular Japanese web store, and Zow. The statue features a beautiful rendition of Vampirella, as she offers a snake infested skull top the viewer. She stands at 11″ tall atop a themed base. The statue is cast in polystone resin. Look for the statue to be available this July. It will be priced at $249.99. Mamegyoria sent along official photos and details. Read on to check out the official description as well as a the new photos.